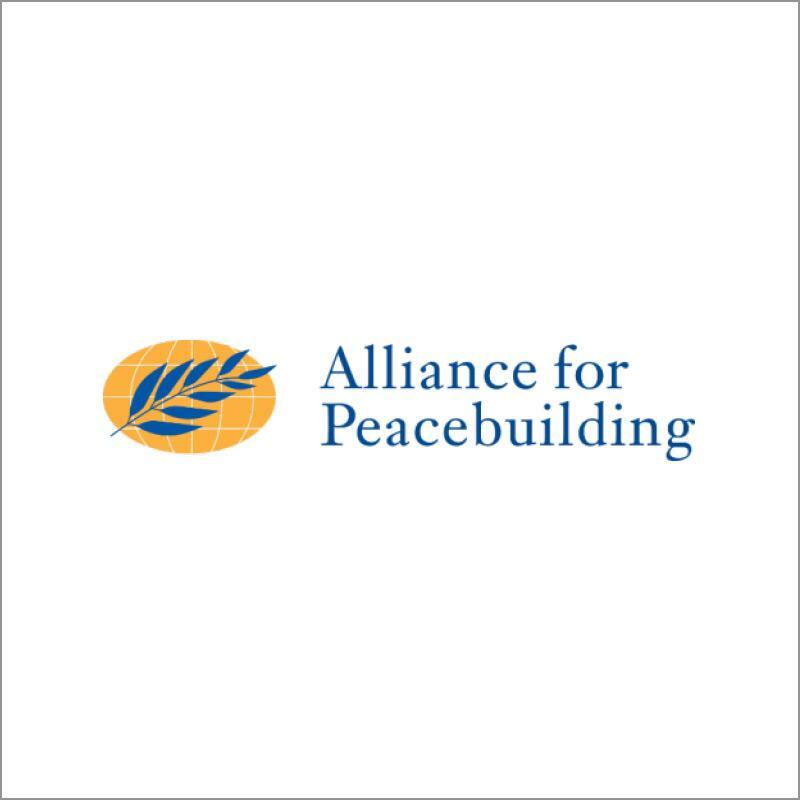 Alliance for Peacebuilding (AfP) is a member network of over 100 organizations that work to build peace. Its members include some of the world’s largest development organizations, most innovative academic institutions, and the most powerful peacebuilding groups. They bring together coalitions in key areas of strategy and policy to elevate the entire peacebuilding field, tackling issues too large for any one organization to address alone. Their vision is a world where each person feels secure, dignified, and included; a world where people manage conflict without violence and build peace. AfP’s Mission is to Influence, Impact, and Innovate for the peacebuilding field. AfP influences the broader peacebuilding field by fostering an understanding of systems approaches to peacebuilding and creating a broad constituency for peace inside and outside government. AfP insures that peacebuilding strategy is integrated into the programs and policies of governments and donors, international agencies, and non-government organizations (NGOs). AfP shifts public awareness and promotes social action through media and effective storytelling. AfP harnesses our wide community to strengthen the voice of peacebuilding, and to create more rigorous, effective practice. AfP encourages a culture of learning, monitoring, and evaluation across the field, in order to develop an evidence-based approach to complex social change. AfP attracts new resources for conflict prevention and peacebuilding, in order to effect stronger joint action. AfP cultivates innovation by accelerating and integrating new concepts and approaches to peace and security. We encourage inventive and collaborative programming that strengthens peacebuilding practice. AfP pushes the boundaries of traditional peacebuilding, and pioneer new connections across sectors in related fields. Across our work, we build strong links with key stakeholders in the policy, academic, media, arts, business, and NGO communities. Since its incorporation in 2003, AfP has grown from a small cluster of conflict resolution practitioners to a rich and diverse network of over 15,000 individuals and organizations that are active in more than 153 countries. Founded in 1999 as the Applied Conflict Resolution Organization Network (ACRON), AfP began with the goal of supporting collaboration in the conflict resolution field, which was fragmented at the time. With a $1 million planning grant from the Hewlett Foundation in 2003, ACRON became the Alliance for International Conflict Prevention and Resolution (AICPR) with a broader mandate and a stronger emphasis on conflict prevention. In 2006, the organization became the Alliance for Peacebuilding, adopting a more ambitious mission and further emphasizing the collaborative action.